On Feb. 2, about 39,000 tons of coal ash spilled from a Duke Energy facility into the Dan River, north of Eden, N.C. Governor Pat McCrory says he'll allow a coal ash management plan to become law without his signature. The governor says Duke Energy needs to take action as soon as possible. It needs to take care of the coal ash that's in ponds across the state. But that doesn't mean the governor is happy with the plan. "I am letting the bill become law without signing it because there are major deficiencies that need to be corrected," he said in a recorded statement. McCrory says there are funding and logistical problems with the legislature's plan. What he emphasizes, though, is that coal ash management will be overseen by a commission appointed mostly by the Senate and the House of Representatives -- not by him. "It is the legislators' duty to draft and pass laws, but not to execute them, which is the executive branch's authority," he added. McCrory says he'll consult the Supreme Court on whether or not the bill is constitutional. In response, Senate President Pro-Tem Phil Berger argued that the state constitution has given the General Assembly the right to make appointments to independent commissions. "Keeping the commission separate from the agency that regulates coal ash is not only constitutional, it is a wise policy choice," he said. 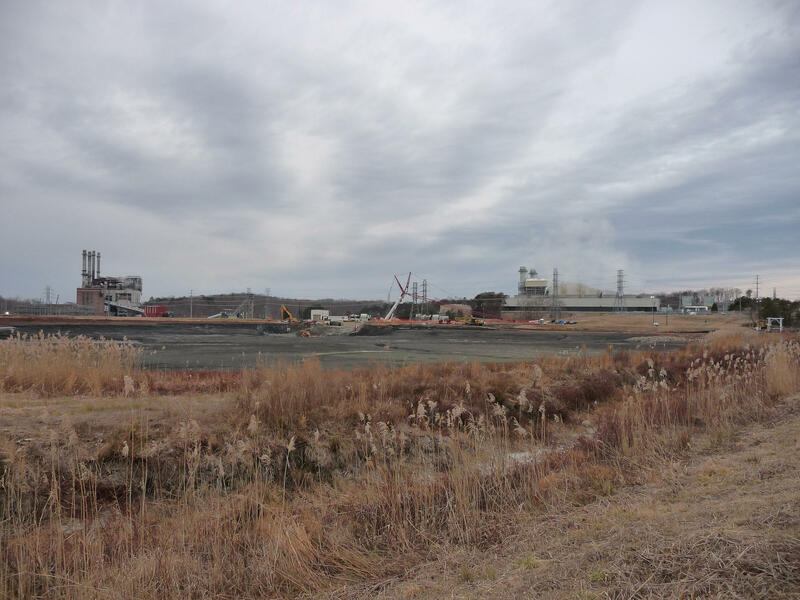 Officials at the state Department of Environment and Natural Resources have filed suits and threatened to fine Duke over coal ash contamination. Attorneys from the Southern Environmental Law Center are focusing on plants in Chatham, Rowan and Wayne counties. Attorney Frank Holloman says the toxic hexavalent chromium has been seeping from the Buck Steam station in Rowan County. "All of these are substances you do not want in these quantities, in your drinking water, in your body, in what your children eat or drink, or for that matter in your fish and wildlife." Governor Pat McCrory says he plans to sign a bill to manage North Carolina’s coal ash ponds. But he may also challenge a key part of it. The governor played a role this summer when members of the House and Senate were crafting the plan. He made suggestions of his own on what to do with Duke Energy's 100 million tons of coal ash. The bill is now on his desk. Over the weekend, on the talk show NC Spin, his support for it was cautious.